Automate Sales Outreach: B2B Sales Hacks Will Save You So Much Time! When you’re growing your business, there comes a point when you realize that you’re spending a lot of time doing repetitive work. Prospecting, sending out emails and then following up on them: it can get overwhelming and doing it all manually only makes it worse. You want to find a way to automate sales outreach. This post is Part Two in a new Masterclass series on how to automate your sales. Sales automation will save you loads of time and let you close more deals. That’s why we created this comprehensive series, guiding you through all the different aspects of sales that can be automated and explaining how you can automate them. In this article, we’ll be sharing with you how you can automate sales outreach of your own B2B company so you can focus more on growth. Imagine having a pipeline of fifty prospects. Based on what they need and what you’ve got to offer, you make the first sales outreach. You copy-paste and tweak your message depending on who you’re reaching out to. While sending that initial batch of emails might not be overly tedious, imagine having to follow them all up over a period of about 15-30 days – manually! Instead, you could simply upload a list of emails and prospect names in your email marketing tool. Then you set up email sequences to follow up with prospects who don’t respond to your initial sales outreach. Some of the smart tools that can help you automate sales outreach include Reply.io, Mailshake, Lemlist, Woodpecker, … with Salesflare about to launch the same feature very soon as well! Imagine meeting someone at an event. You don’t have your phone on you, so you jot down their number. Later you go to save their number on your phone so it doesn’t get lost among the rest of your notes. Then, while preparing your sales outreach, you copy the number to your computer so you can schedule follow-up calls. The entire time you’re copy-pasting a number from one place to the next, just to get it from a piece of paper to your computer and then, eventually, back to your phone. On top of all that, you also need to take notes during and after each call about how it went. What if all this could be made as easy as getting in touch with a prospect in just one click? When you’re using a sales tool like Salesflare, all you need in order to automate sales outreach as desired is a VOIP dialer and a headset. The calls you take on your computer with the VOIP dialer or on your mobile phone automatically get logged. By not wasting any more time manually looking for phone numbers, dialing them and logging the call by hand, you get to spend more time focusing on the quality of the conversation you’re having with your prospects. Examples of VOIP dialers that can help you automate sales outreach calls and log the resulting conversations include Aircall and Toky. LinkedIn plays a key role in B2B sales. But it’s an incredible drag having to sift through hundreds of profiles based on your defined target audience, shortlisting prospects, visiting their profiles, sending them connection requests with custom messages and following up with them, all manually. It can take days or even weeks to close a lead this way. Quite often you actually even risk losing the opportunity to engage a prospect. Or you miss an important follow-up. So once you know who you’re looking for and have tracked them down either manually or using Sales Navigator, you need to bring in the dux to properly automate sales outreach on LinkedIn. 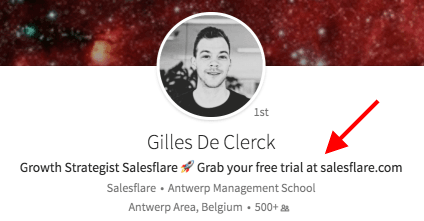 Dux-Soup is a smart Chrome extension that you can use to automatically visit all the prospect profiles on a search result page and send automated connection requests with a message that mentions things like their name and company. If they accept your invite, you can follow up with them afterwards via LinkedIn to move the sales process forward. You’ll basically end up establishing a lot more new connections and getting introductions and leads without lifting so much as a finger – but make sure your profile clearly states who you are and what you do. What’s more, you’ll also get those prospects’ names, industries, roles and company domains, along with any other information they have on their LinkedIn profiles, all neatly exported in a .CSV file. You can then use this data to further automate sales outreach by email, phone and even other social media channels. If you’re hungry to learn more about how you can optimize your sales outreach, check out The Startup’s Playbook to Finding B2B Customers on LinkedIn. We’ve covered the entire process step-by-step and on top of that we’ve even shared a selection of our secret hacks! At some point, we’ve all used the follow-for-follow approach to reach out to our target market on Twitter. And we’ve even used automated DM’s or experimented with them to promote products, eBooks or even blog posts. But have you ever had a meaningful or fun conversation that actually resulted in a target user becoming a lead or even a customer? While our founder, Jeroen, uses automated messages too, they’re not to promote our product. They’re to establish that oh-so-important human connection to start understanding what the user is looking for. He doesn’t start trying to sell Salesflare straight out of the gate. Here’s an example of what Jeroen does. He uses Jooicer to auto-follow people who follow Salesflare competitors. When they connect, the tool sends them an automated message. But after a while, Jeroen jumps in to humanize the conversation. He also takes this list of people following a competitor on Twitter and sends them a connection request on LinkedIn. Auto-connect on LinkedIn and start a conversation! Remember: show genuine interest, listen to your prospects carefully and help out. Don’t just promote. 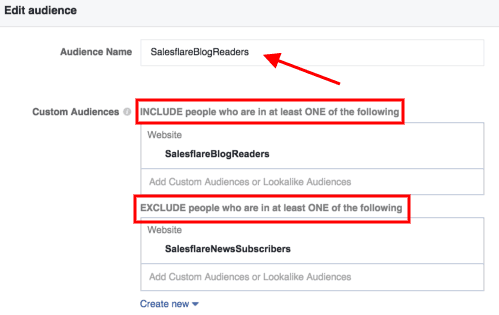 Before you get started, make sure to read How To Target Your Competitor’s Customers With Facebook Ads And More Starting From Twitter. We just explained how to get email addresses of prospects starting from LinkedIn and Twitter. Now it’s time to use these email addresses to nurture these prospects and to move them up in your sales pipeline. That’s where CRM retargeting and retargeting ads come into play. 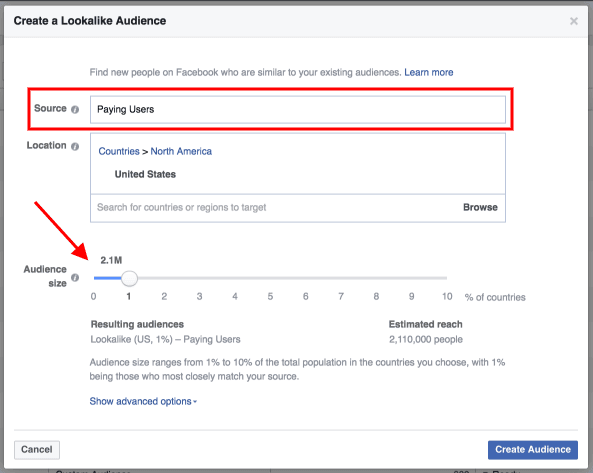 Instead of going for generic targeting and simply hoping the right prospects will see what you’re promoting, you should create a Facebook Custom Audience. Upload all the email addresses you have from a .CSV file or from the email marketing tool you’re using. However, this only works when the email addresses are associated with Facebook profiles. That’s why at Salesflare, we like to combine Custom Audiences created from emails with others created from data like the prospects’ location, phone number or even their last interaction with our business. The more data, the better the matching process works! A good example of how you can apply this is by retargeting your blog readers with lead magnets. The higher the perceived value of what you’re offering them – like ebooks or an industry report, the more likely they are to share their email address or more information about their needs. But make sure you don’t make the mistake of asking those who have already subscribed to your blog to opt-in again. It’s essential that your communication feels organic and natural at all times. Custom Audiences are great for nurturing leads up a sales funnel or targeting very specific lists. Lookalike Audiences are how you reach new people, find more leads and then start nurturing them with ads that nudge them towards becoming your customer. But the hack here is a little different. A Lookalike Audience basically helps you reach people who are likely to be interested in your business, based on their similarity to your best existing customers. 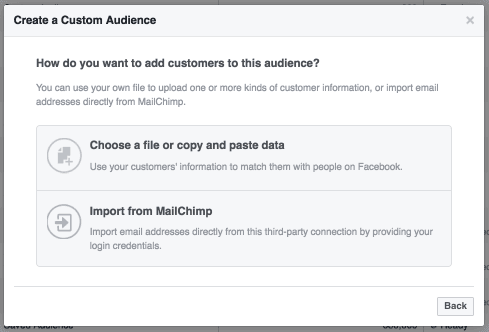 To make a lookalike audience work, you need to use the data of your most valued customers. The data from the ones with the highest Customer Lifetime Value (CLV) is more likely to get you to reach someone who is like them. No matter how you’re reaching out to your different audiences – be they custom or lookalike, there will always be prospects in there who still won’t interact with your business despite your campaign. That’s why you need to set up a retargeting funnel. To do this you employ the user’s last activity on your ad campaign or your website as the basis for targeting and what you offer in the message. Your goal here should be simple: gently steer them towards conversion. 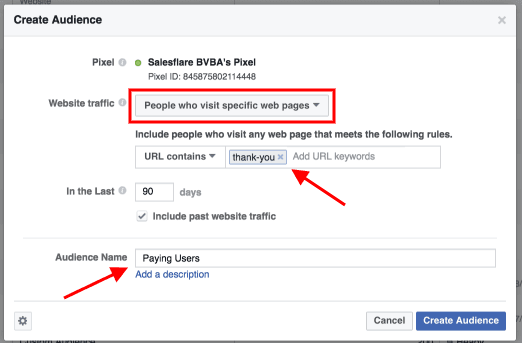 There’s a bunch more useful tips waiting for you in The Startup’s Playbook To Finding B2B Customers on Facebook. While there are a number of ways to conveniently automate sales outreach, success lies in how relevant your message is to the prospects. Whether it’s in email, on a call or on social media, your messages should bring value to the prospect. The better you can show them that you care, the more likely they are to move up in the sales funnel. 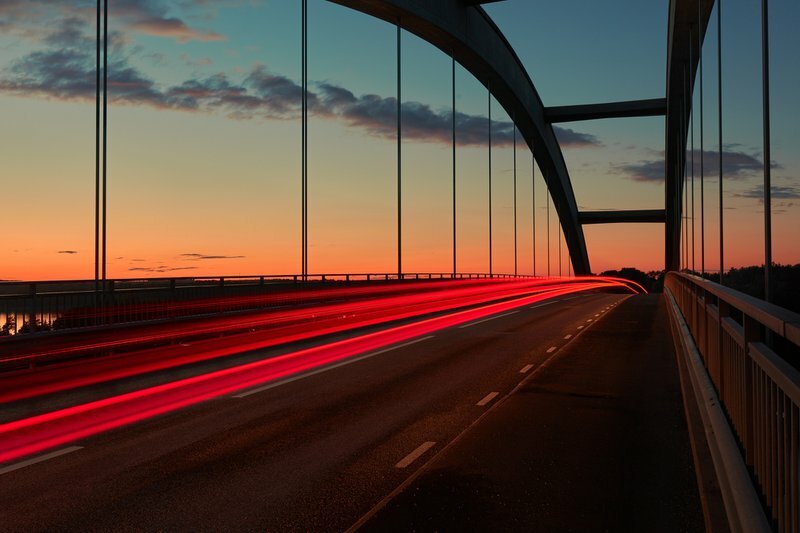 Can’t wait to automate sales outreach until it’s a finely tuned engine? Let us know which tools you think everyone ought to be using and how they made life better for you! Need a quick recap? Read Part One of the Sales Automation Masterclass: How To Automate Lead Generation For B2B Companies. Also, don’t forget to tune in next week for Part Three in our Sales Automation Masterclass: How B2B Companies Can Automate Sales Follow-Up And Closing.